Our Cincinnati Bengals Yard Flag is a perfect way to show your Cincinnati Bengals NFL team spirit in your garden, front entranceway, porch, mailbox, or windows. This yard flag for the Cincinnati Bengals measures 10.5x15 inches, hangs vertically, and provides a top sleeve for insertion of our garden flag pole or stand. Our Cincinnati Bengals Yard Flag is made of single-ply nylon and is embroidered with Bengal team insignias and lettering as shown. Our Cincinnati Bengals Yard Flags are one-sided. A suction cup Window Hanger is included. 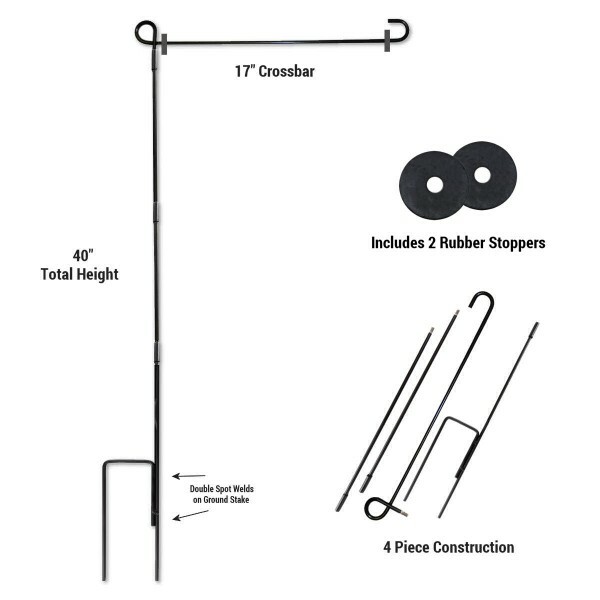 Fly your Cincinnati Bengals Yard Flag with our Garden Flag Stand, Mailbox Flagpole or Window Hanger.